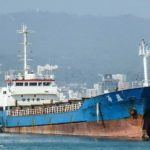 On October 2, the 70 meter long cargo vessel Ying Hai capsized and sank in the Taiwan Strait south of the Penghu Islands, Taiwan. The Ying Hai was en route to Busan, South Korea from Kaohsiung when a cargo of containers. 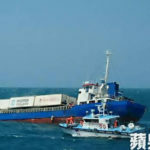 During the voyage in heavy seas several containers shifted on the Ying Hai. 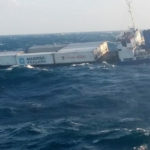 Several containers fell overboard and the cargo vessel developed a list. The crew alerted authorities and abandoned ship. Helicopters and search and rescue vessels were dispatched to the scene. 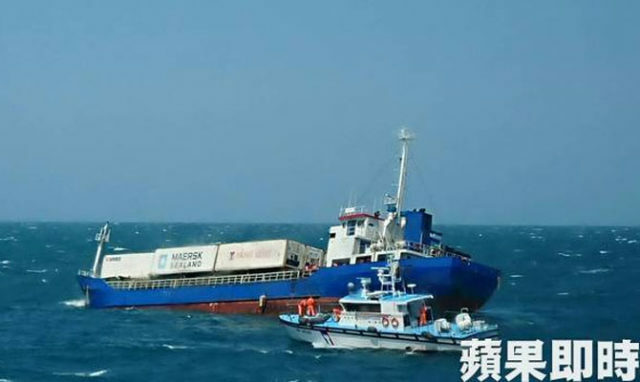 Rescue boats attempted to take the Ying Hai under tow, but rough conditions made it impossible. All 9 crew were evacuated by helicopters off the Ying Hai as the list continued to increase. No reports of injuries. The next day the Ying Hai continued to list until it rolled over on its side. 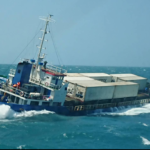 The cargo vessel quickly flooded and sank.